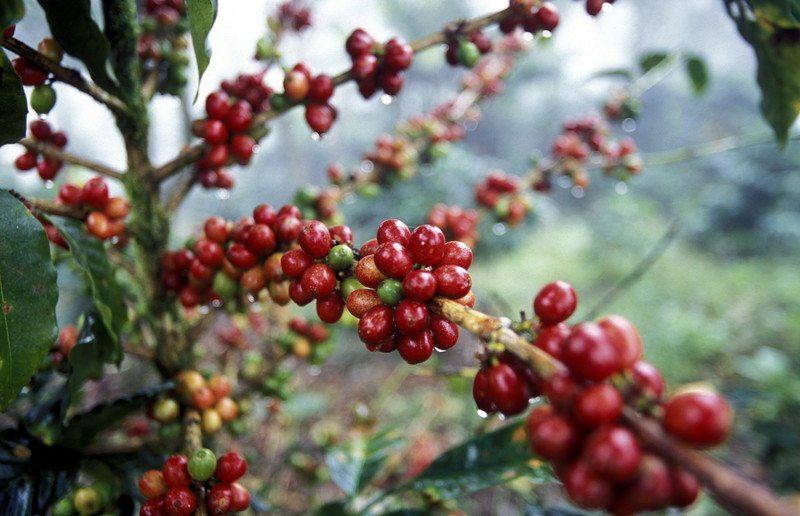 Ethiopia is the oldest known producer of coffee and is the origin of Coffea Arabica itself. Coffee from Ethiopia is famous for the complex, bright, and fruity flavors it embodies. 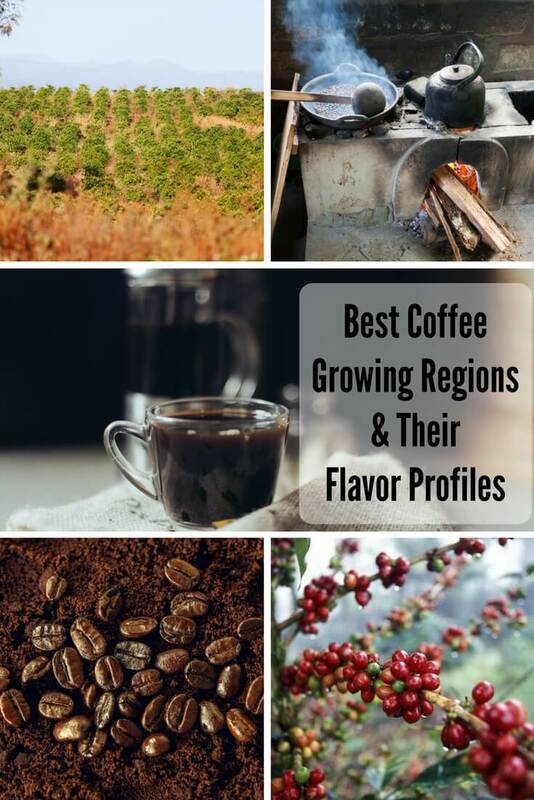 The regions that produce coffee are highly regarded for their quality and are often marketed specifically. The main coffee producing regions are: Harrar, Sidamo, and Yirgacheffe. To sample the delicate flavor of this variety, try Peet’s Coffee & Tea Ethiopian Fancy to sip from the birthplace of coffee. Kenya is a very established coffee producing country and even has a dedicated rating system for the size of beans produced in the many growing regions there. Most popular is the AA type of bean, which is the second largest and often associated with the highest quality of flavor . The taste profile is acidic and sweet, with notes of berry. It is available for purchase Kenyan AA online and in stores from a host of roasters, including Green Mountain Coffee Kenyan AA Extra Bold, which is also available (and seems to be more popular) in K-Cup form. Rwanda has been steadily growing as a major coffee producing country in the early 2000s, when production increased. 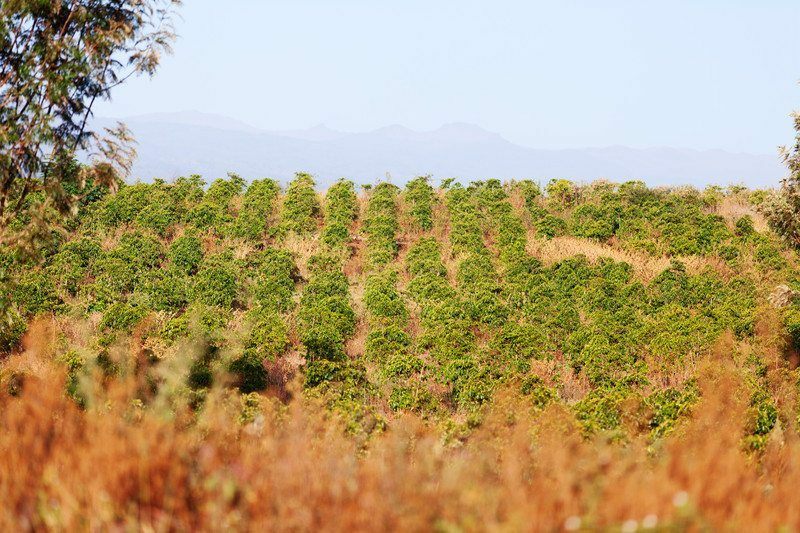 Coffees from this African country are floral and fresh, some with tasting notes of crisp apple. Starbucks has a single origin Rwandan coffee from the Rift Valley, which is available online or in stores. 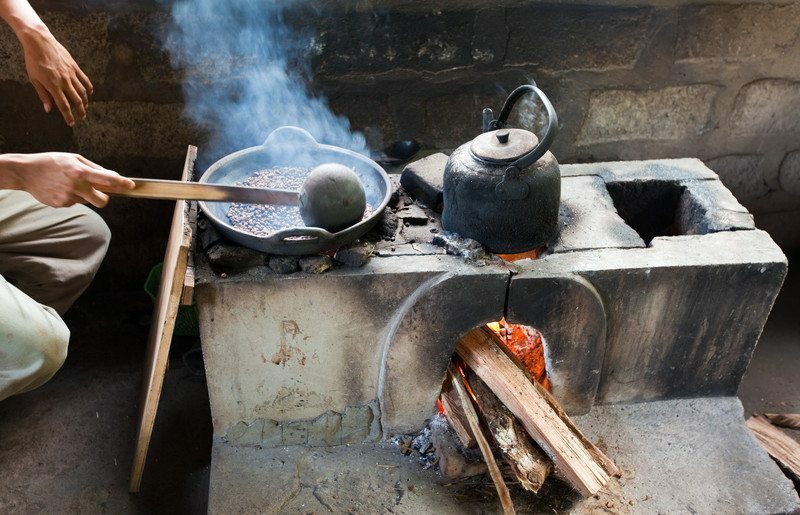 Tanzania is known for the prevalence of peaberry beans, which means a single coffee bean grows inside the fruit of the coffee plant instead of two, giving it a unique round shape. Other countries also have this type of bean, but Tanzania is often listed as Tanzanian Peaberry. Flavors of this coffee are citrusy and often described as juicy. You can purchase Tanzanian Peaberry from the Coffee Bean & Tea Leaf, which is roasted to bring out flavors of black currants and jasmine. India is known in particular for a specific kind of coffee known as Monsoon Malabar, which is raw coffee processed and then exposed to moisture, giving the bean a distinctive flavor and pale color before roasting. The flavor profile of Indian coffees are smooth, creamy and mild. To try a single origin Indian cup, check out Illy’s MonoArabica from India. It is sold in a cylindrical tin, which is great to save for other uses. Indonesian coffee is often marketed as the particular region where the coffee is grown. The most popular regions are Sumatra and Java, which is also now a nickname for coffee. Coffee from here is low in acidity, but strong in body with deep earthy flavors. It is commonly roasted dark to emphasize these spicy flavors. Sample some classic Starbucks Sumatra to see why this is a standard coffee served in shops across the country. Papua New Guinea grows coffee on a smaller scale and is often harder to access in large quantities. Volcanic soils give this coffee a sweet, clean flavor enjoyed by many. Regional differences are not particularly apparent, but may become a factor in the future. To drink in the syrupy notes from Papua New Guinea, try the Coffee Bean & Tea Leaf’s Sigri Estate coffee. Brazil is known for being the world’s largest producer of coffee for a reigning 150 years . Specific regions are sometimes highlighted as a sign of quality. The flavor profile of Brazilian coffee is very chocolaty, nutty, and rich with light acidity, which makes it a popular choice around the world. Brazilian coffees are readily available and easy to find from Folger’s to specialty brands. Try Peet’s Brazil Minas Naturais for a cup reminiscent of hazelnut. Colombia is another very famous coffee producing country. Since the 1950s, the iconic Juan Valdez and mule have been recognized as a symbol for Colombian Coffee . With a great deal of variety in flavor across regions in this country, it is hard to list one profile of notes for this country. Coffees have been known to be very smooth with a chocolate finish to more bright and fruity. There are so many name brands for this style to try (because of its popularity), but one of my personal favorites that's easy to find is the classic Dunkin’ Donuts Colombian coffee. Costa Rica is a very popular destination to visit coffee farms, and it has developed in this way as a boost to the economy. It has also been a standard for high quality in the specialty coffee market for some time. Clean and light are the flavors typically associated with coffees from Costa Rica. Try a refreshing cup of Costa Rican coffee from Café Britt with hints of coco and grapefruit. Hawaii is the only state in America with the right conditions to produce coffee. It is most known for the Kona region which is on what is known as the big island of the chain that makes up Hawaii. There are other regions as well, but none as famous as Kona, which boasts its own coffee festival. As for the flavor profile, Hawaiian coffees are very mild with some fruit flavors. To taste some coffee from this island, try Peet’s Reserve Kona, which boasts a delicate apricot finish. Mexico has several regions of coffee production and most farms are operated on a smaller scale than the massive estates of Brazil. The three main regions are Chiapas, Oaxaca, and Veracruz. The flavor of Mexican coffee varies and can be very rich and sweet with hints of nut or caramel to light and subtle. Try the Coffee Bean & Tea Leaf’s Mexico organic coffee for a lightly floral and fine cup. I’ve found this article to be incredibly informative and would like to use a few excerpts from your article in my blog on my website. Would you give me permission to do this if I gave your website full credit? As long as you link back to the article, that’s fine!